We provide custom made websites primarily for smaller businesses, but use a Content Management System to allow for extended functionality, updating and upgrading of your website. We believe in a more personal experience and you can be involved in the creation of your site as much or as little as you want. 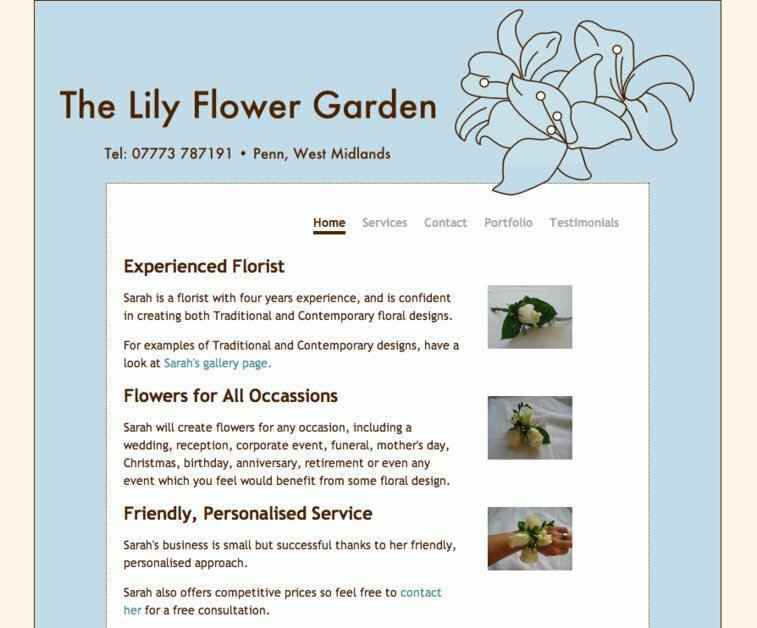 Here's a shot of my latest complete website, The Lily FLower Garden.